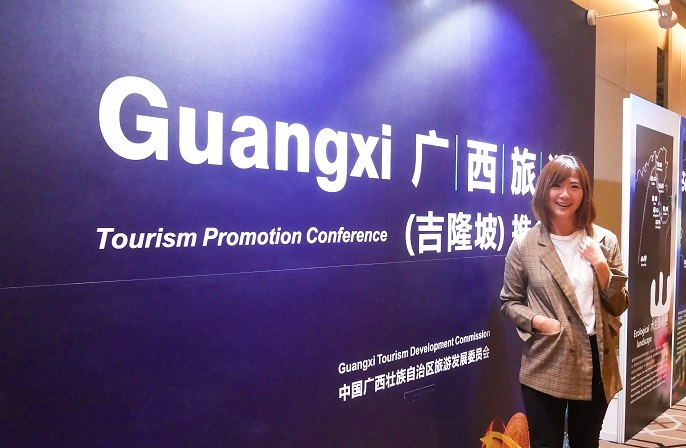 I'm glad to be invited to participate in Guangxi Tourism Promotion Conference in the last week. 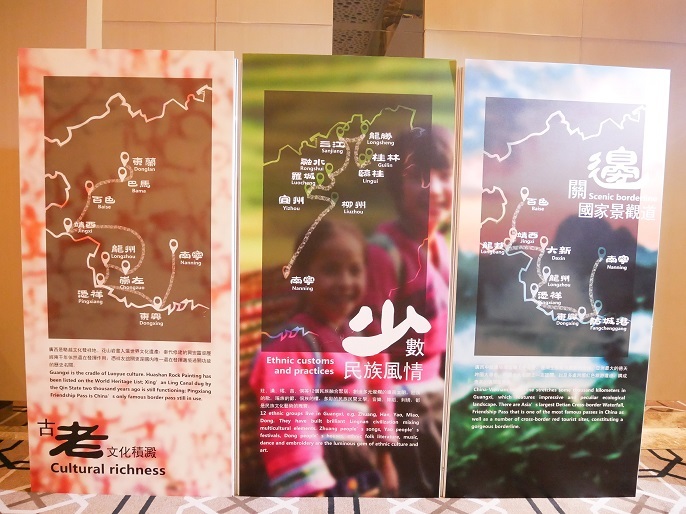 Apart of knowing the tourism spots, I had also embraced myself with new knowledge of Guangxi Province. Guess I should have put Guangxi into my travel bucket list now! So, where is Guangxi 广西? 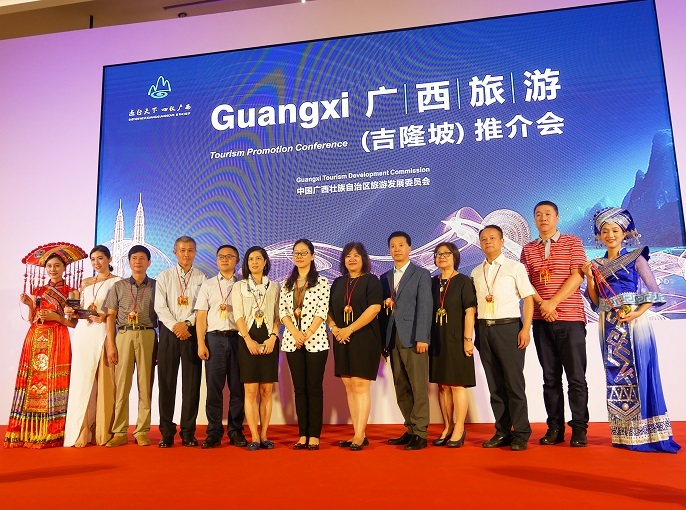 Guangxi is located in the far South of China, which bounded by Chinese provinces of Yunnan to the West, Guizhou to the North, Hunan to the Northeast, and Guangdong to the Southeast. Guangxi features the most beautiful karst landscape and it is renowned for verdant mountains, plentiful waterfalls, strange caves and charming rocks. 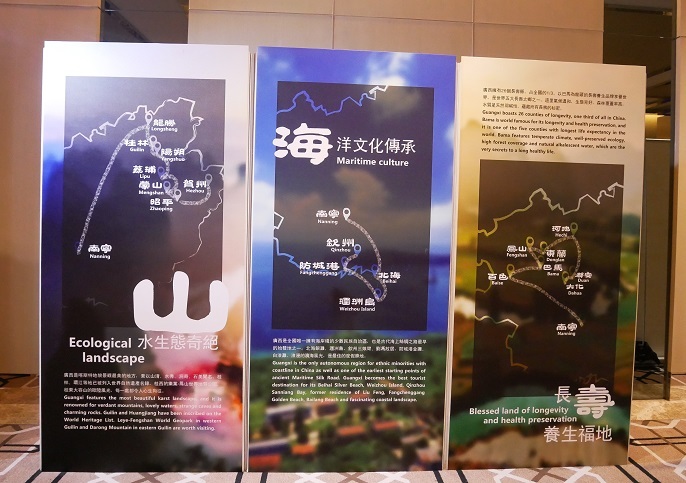 There are lots of places to cover while traveling to Guangxi, for instance Nanning 南宁, Baise百色市, Beihai北海, Chongzuo崇左, Fangchenggang防城港, Guigang贵港, Guilin桂林, Hechi河池, Hezhou贺州, Laibin来宾市, Liuzhou柳州, Qinzhou钦州, and also Yulin玉林市. Honestly, I'm very interested to visit the famous Li River and Elephant Trunk Hill in Guilin! Guangxi Province has a total of near 45 million people and encompasses an area of 236,700 square kilometers. There are 12 ethnic groups including Zhuang, Han, Yao, Miao, Dong, Mulam, Maonan, Hui, Yi, Sui, and Gelao people. And among the others, the Zhuang people are an ethic group who mostly live in the Guangxi Province. 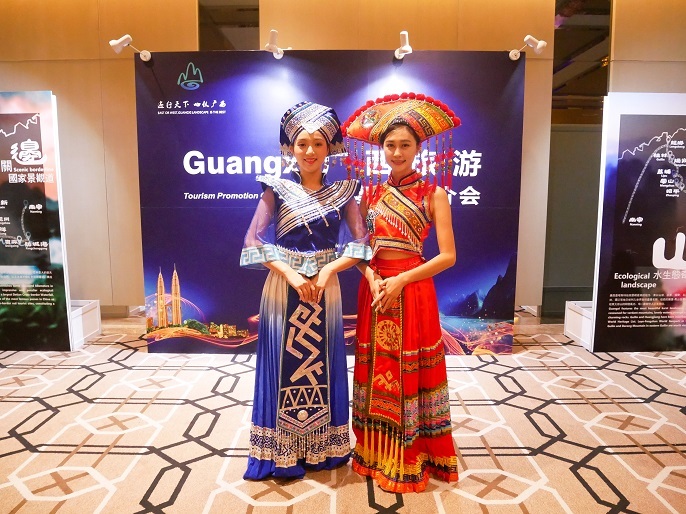 Other than the historical sites to visit in Guangxi, there are also brilliant cultural relics, and strong national customs to explore in Guangxi too. River Snail Rice Noodles 螺狮粉 is the most famous specialty of the city Liuzhou in Guangxi. The reason they named it as River Snail Rice Noodles is because the dish contains of rice noodles that boiled and served in a soup made with a stock made from river snails. 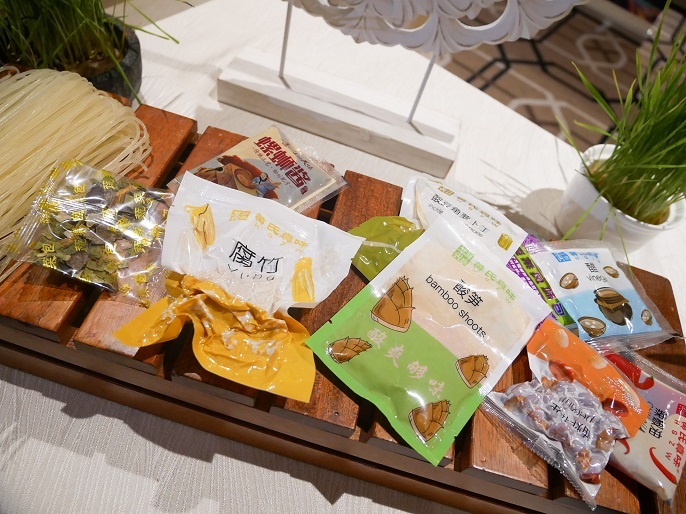 It encompasses the four tastes of sour, spicy, hot and sweet, and usually cook with fresh green vegetables, bamboo shoot, pickled green beans, peanuts etc. 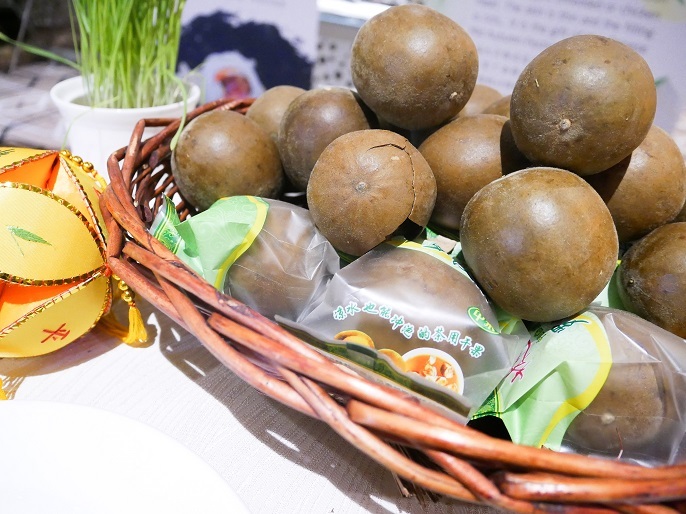 Rohan Fruit 罗汉果 is one of the well-known fruits from Yongfu, Guilin of Guangxi. It is also known as fairy fruit as it is rich in vitamin C, and contains high nutritional value. Though the taste is sweet, it is suitable for diabetes and obese people. People said that Rohan Fruit is to relieve cough and expectorant more effectively. 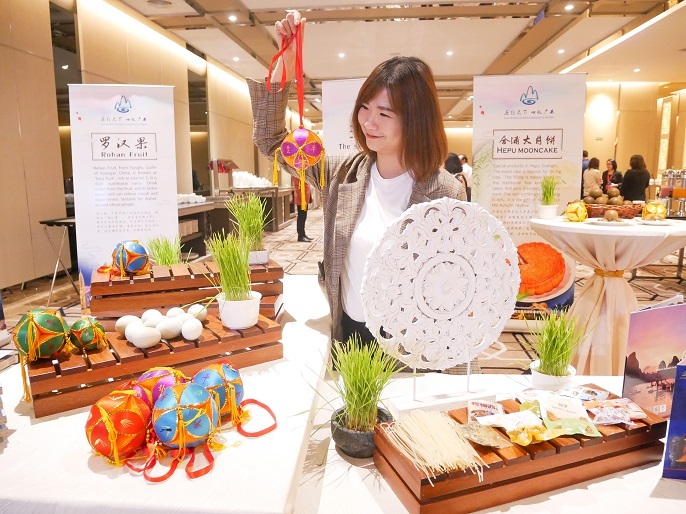 The Sea Duck Eggs 海鸭蛋 is the special product from Beihai, Qinzhou and Fangchenggang in Guangxi. The fisherman bring the ducks to the beach, then let them eat small fishes and shrimps by the seaside. 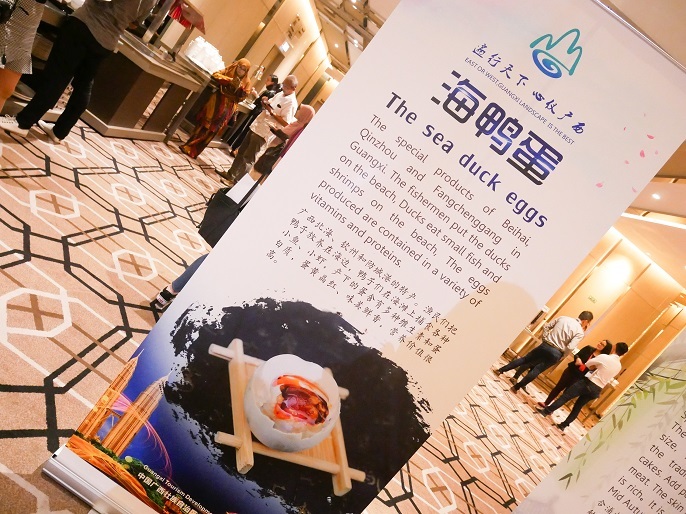 People said that those duck eggs contained a variety of vitamins and proteins which is good for our health. 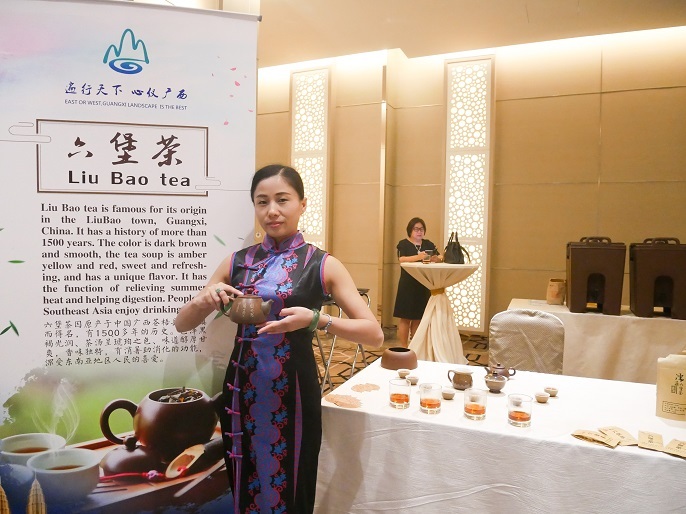 Drinking tea is the most common one for Chinese people, especially in China. There are so many types of tea leaves available in China, sometimes I get confused about the species too. 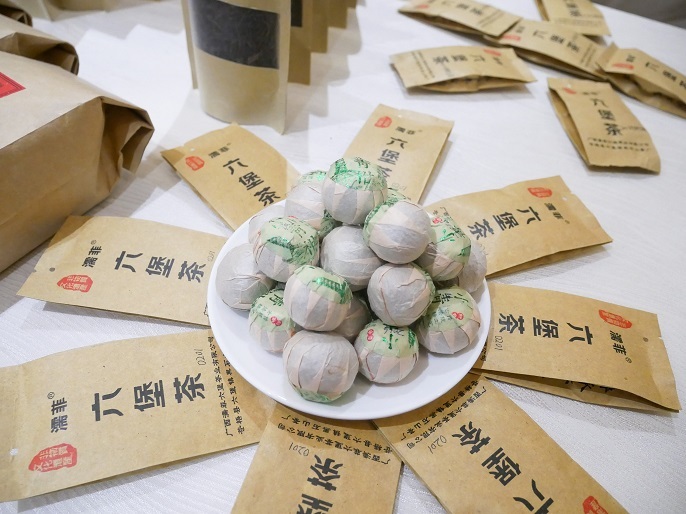 Liu Bao Tea 六堡茶 comes from Guangxi Province, and it's a sister tea of Pu-erh Tea. The tea leaves are in dark-brown colour, but when tea leaves are brewed, it becomes yellow-red colour. The tea is good for clearing heat and eliminating dampness, and also assisting digestion. Guangxi Province has a special culture between the young girls and boys. 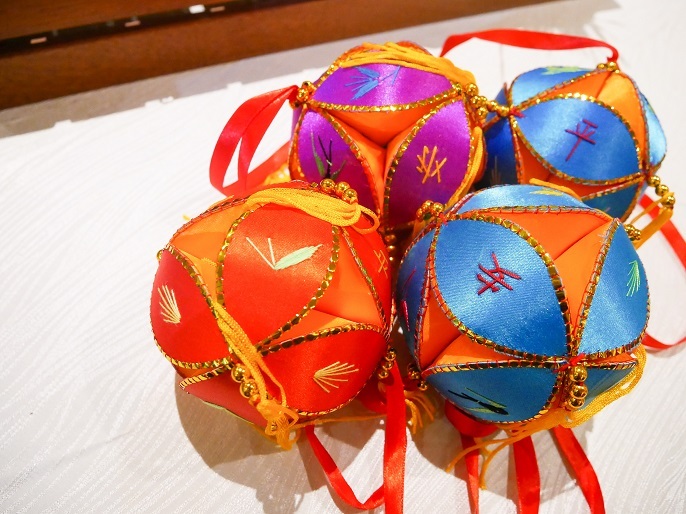 The silk embroidery balls are usually crafted and embroidered by girls with a variety of colourful threads. If a girl handmade an embroidery ball and gave it to a boy, it meant that she had given her heart to him. If a girl was in seek of a fated life partner, she would toss the ball high where a bunch of boys were, then the boy who caught the ball would become the husband to-be. 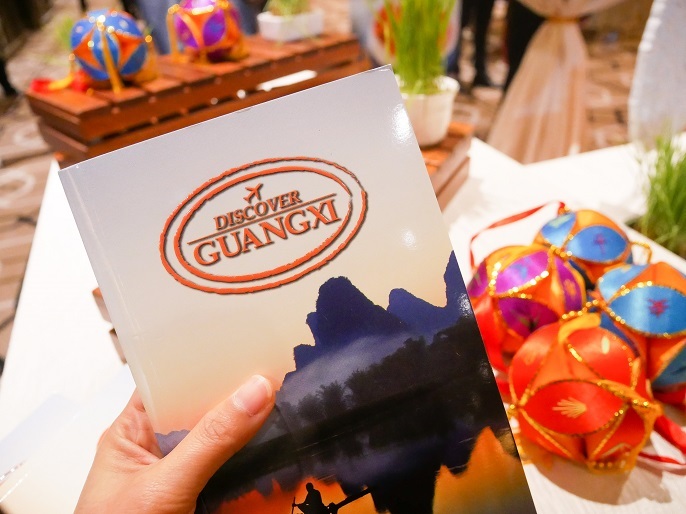 There are many interesting things to explore and discover in Guangxi Province. Guangxi may not have the white sands and relaxing beaches that you are looking for. However, if you are looking for stunning mountains, splendid culture, beautiful scenery, Guangxi will definitely be your idea destination to visit!